Hi again, puppy lovers! 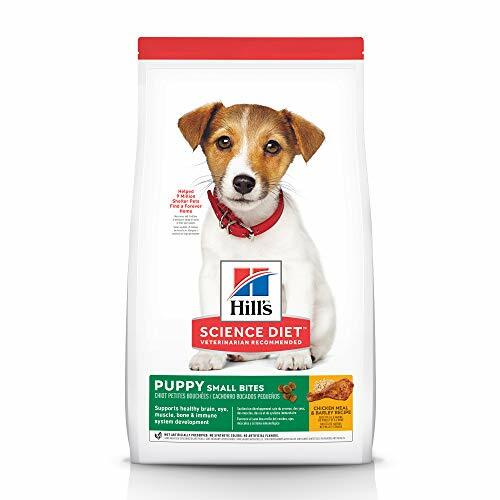 Meet another one of our favorite puppy food and dog food brands – Hills! 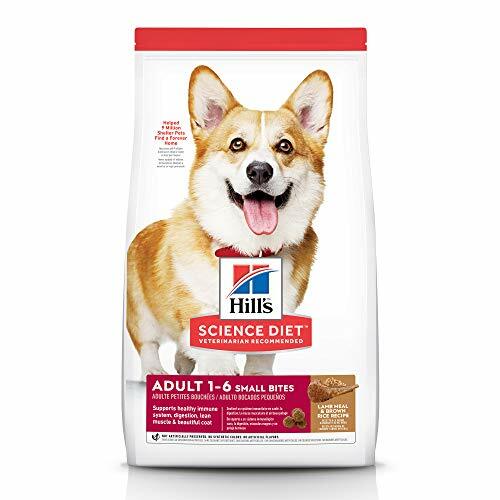 Though, chances are that every dog owner has heard of Hills Science Diet and it’s awesome reputation for being a sterling brand. We’re talking a whole range of puppy foods and dog foods that are made entirely without any non-natural preservatives, or flavors, or any of the unnecessary synthetic colors. And if you haven’t heard as much about the other Hills popular dog food lines, we’ve already collected the top options here into one place for you. So that we can once again save you time to spend with your special canine friend! 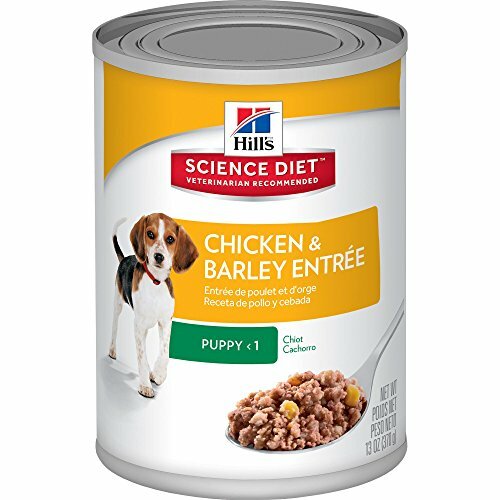 Why the Hills dog food reviews and Science diet puppy food reviews? 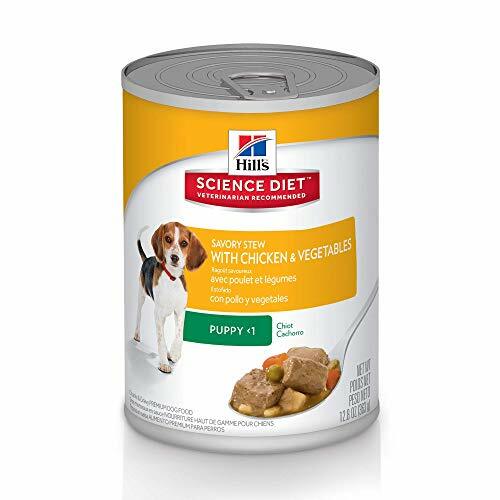 Can I feed my large puppy with something from your Science Diet Puppy food reviews? 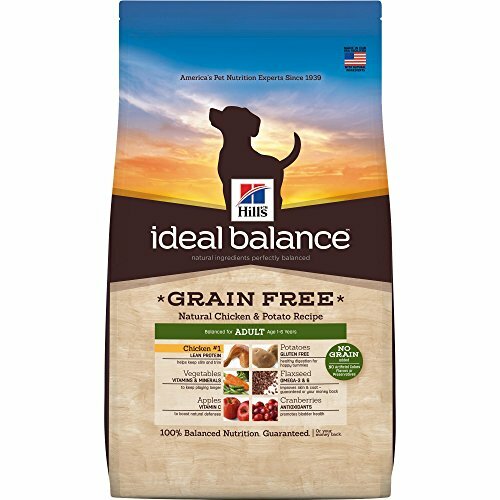 Is grain free puppy food better? First up, Hills have been around for a LONG time. They’ve been making puppy food and dog food since 1930, to be exact. And, well, one of the reasons they’re pretty darn famous is because they’re in demand with dog owners worldwide, and are sold in something like 86 countries internationally. 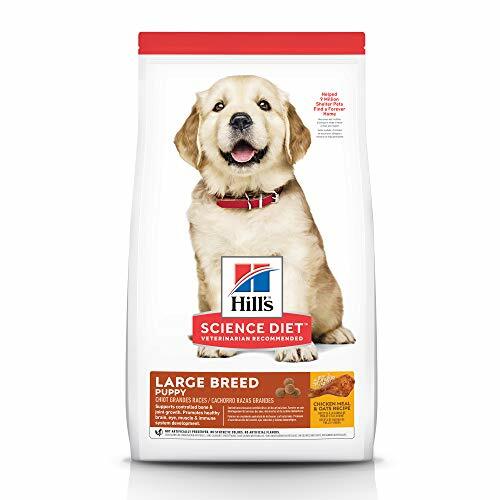 Like the other exemplary brands we’ve looked at, Hills focus on making food for different sized breeds of dogs as part of their wide variety, which is one of several reasons why we think they’re great. Ingredient quality has to be the very first reason that pops to our minds after having reviewed so many dog foods over so many days and nights. In fact, Hills is developed primarily by nutritionists and vets. On top of this, the brand has supremely high quality standards around how to pick the special ingredients for your dog’s food- not only must it meet quality standards concerning pet foods, but it’s got to pass human standards in order to be good enough for your dog! Our special favorite… just so many of Hills puppy foods and dog foods have a great variety of veggies and fruits! What do you think? Have we given enough awesome reasons for our Hills dog food reviews? We think so, so let’s get started! There aren’t really any completely grain free puppy kibbles made by Hills, but here’s an excellent dry dog food for the adults. It’s super hot with dog owners judging from the reviews, and of course, we’ve checked out that the nutrients and ingredients are nothing but the best. Soybean oil tends to usually be okay from a gluten-free perspective. However, we think it’s important to note that while this adult dog food may be free of grains, it isn’t suitable for those dogs who cannot tolerate soy. Generally, however, soybean oil is a really highly refined ingredient and not often considered an allergen. Can be flexibly fed to all differently sized pooches, from Yorkies to Pit Bulls and Great Danes! 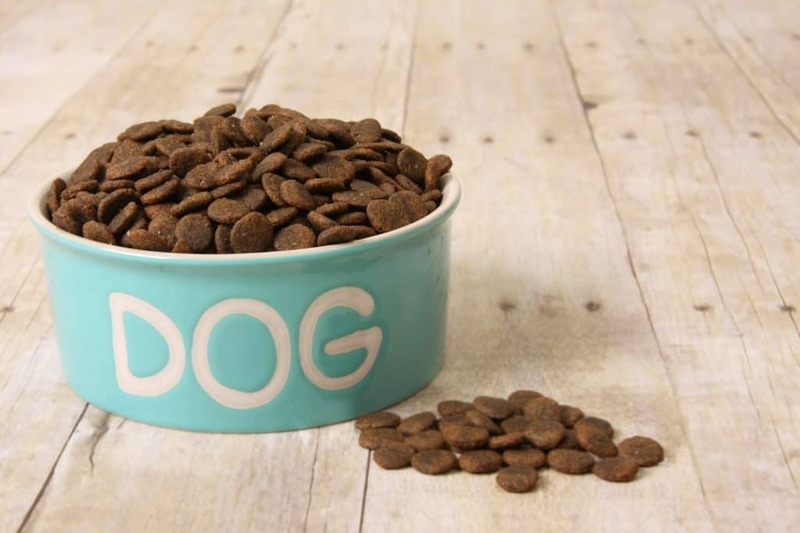 Just watch out for the fat content- while it’s great for active dogs, you’ll need to take care that your less energetic ones aren’t eating too much of this kibble! Well, we haven’t tasted it ourselves but apparently, the Small Bite puppy food is INTENSELY delicious, considering the number of superb ratings it’s received from puppy owners online! We’re also liking the fact that it’s got copper, zinc, and manganese alongside added Vitamins E and C. Woof! Top quality fish oil means your puppy’s getting DHA for his vision and brain. Hey, we’ve not forgotten you large puppy breed owners, no way! This puppy food’s been specially created for your Rottweilers, Great Danes, Pit Bulls, Mastiffs and St Bernards, with careful attention paid to their unique macronutrient requirements. At around 1.2% carefully-balanced calcium and good old phosphorus, it’s a responsible choice for larger limbed doggies such as Great Danes. Plus, strong teeth! Made with chondroitin, alongside glucosamine, E and C vitamins for optimal health all round. It’s often such a great thing to find dog food that is specifically crafted to meet the needs of certain special breeds. That’s because choosing a dog food that’s got your particular breed’s requirements in mind is a responsible hassle-free way to ensure that his nutrient needs are already taken care of from the very first moment. Plus, we are giving this a big thumbs (tails?) up because of this kibble’s awesome vitamin and nutrient content. Did you know that chicken is such a popular flavor of top dog foods because dog allergies to beef are fairly common? In fact, a study of 278 dogs with food allergies showed that 95 were not able to tolerate beef. Whether or not you’ve got one of these puppies or dogs, though, a chicken meal always sounds so delicious! Here’s a healthy 31.5% of good and lean protein to help keep your puppy at a healthy weight while he grows up strong! Zinc, as well as copper, magnesium, and potassium to counteract deficiencies. Well, here’s another one that has us wanting stew for dinner! As well as sounding tasty as heck, it’s got an amazingly high yet healthy protein level, vitamin-rich veggies, and DHA that’s naturally within fish oil. Plus, wet food’s a great means of adding some much-needed moisture and variety into your puppy’s diet! Easy digestion’s key with this Hills puppy wet food, as it’s been formulated to include fibers that are gentle and help everything go a little smoother. 4% lovely protein in every can, helping your little one grow up big and strong! According to many, many dog owners, it’s a pretty popular one with dogs of every size, taste-wise! We don’t see any veggies in this specific blend, apart from corn. Lack of veggies aside, this puppy food’s won itself a spot in our Hills dog food reviews because it’s met and exceeded the AAFCO requirements for all-around great and balanced puppy health. That means all the fat required for bouncy little ones, and all the necessary lean protein in order for them to grow up strong! Hills Ideal Balance line is always made without any wheat or any corn, and of course without soy. Eggs are also a source of protein, so it’s not the best choice for those pooches with sensitivities. Natural source of fish oil-derived DHA for puppy brains! Oh-so-many fruits and, of course, veggies- all of which contribute loads of vitamins and minerals! Not gluten-free, and also contains eggs. Unfortunately, it’s not guaranteed to be safe for dogs on a gluten-free diet, or for those who can’t tolerate eggs. Otherwise, it’s got wholesome barley in place of those common wheat ingredients and corn-derived products. With its awesome veggie content, it’s a fully-certified, balanced and complete puppy food that’s apparently delicious too! Here’s a fantastic option for those who want to see a real, shiny, lustrous coat on their healthy and extremely happy dog. In fact, it’s been formulated for those dogs who are between 1 and 6 years of age, and is a flavorful lamb meal for owners who want to give their adult pooches some variety! 1% calcium, which will help your dog keep his bones strong! It’s got milled corn gluten and wheat, and besides the fiber-rich beet pulp, it unfortunately doesn’t contain any whole veggies. The Advanced Fitness dog food doesn’t cut out grains, but it skips both beef and egg in favor of lamb. It’s very much a great option if you’ve got a dog who doesn’t require a gluten-free diet. Absolutely you can! 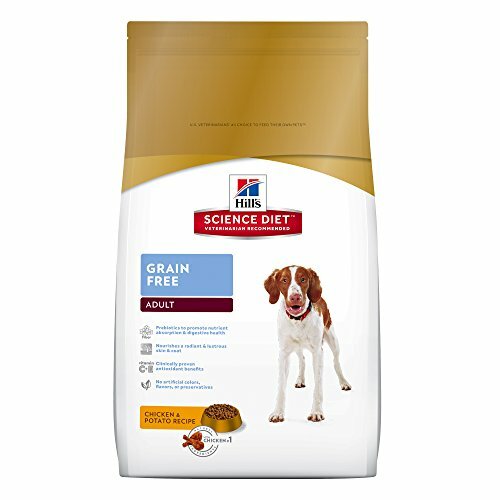 Besides the awesomely nutritious large breed-specific kibble we’ve included in the Science Diet puppy food reviews, the super-popular Small Bite kibble is AAFCO approved specifically for puppies. As per their regulations, therefore, this means that you’re going to be feeding your pooch a carefully crafted puppy food that meets the important protein needs, fat needs and general all-around nutritional requirements of your large puppy friend. Puppy food that’s been given the AAFCO tick of approval is typically higher in these three things when compared to AAFCO-approved adult dog food, so that your trusty sidekick can grow, thrive, and continue to develop in the healthiest way possible. You might want to pay a little extra attention to the specific feeding guidelines, though, to ensure that you aren’t going to be giving your larger pup a higher number of calories each day than he needs. Good question. Some owners much prefer puppy food that’s made without the use of any grains, simply because they’ve got a puppy who has specific allergies or intolerances. If this describes your puppy, then yes- it‘s always necessary that you feed him puppy food that leaves out the grains. It’s super important, in any case, that you have a chat with your vet if you think that your puppy has a food allergy so that you can get some help with diagnosing the exact ingredients he’s allergic to. Another thing to be aware of is the fact that a grain free puppy food will always be free of gluten, too. Because some other, non-grain ingredients can contain gluten, puppy owners who’ve got a pooch with gluten sensitivities are making a safer choice when they pick out something that’s 100% without grains. Common grain ingredients such as rye or barley are very often still present in puppy foods which advertise that they are free of corn, wheat, or soy. These DO contain gluten and this may trigger an allergic reaction in dogs who cannot tolerate it. In short, going grain free is a sensible way to know that your puppy is not taking in any gluten whatsoever.